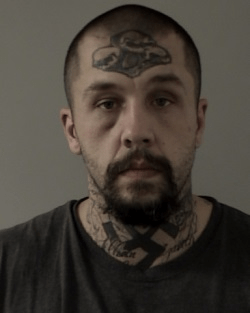 On 04/26/2015, an alert El Dorado County Sheriff’s Patrol Deputy assigned to the K9 Unit spotted Abram Sassenberg, a wanted felon, driving a vehicle in Pollock Pines. Sassenberg was on Post Release Community Supervision (PRCS) and he had an active felony warrant out for his arrest. Sassenberg also had a suspended driver’s license and was not to be operating a motor vehicle. Sassenberg refused to yield after Deputies attempted to perform a traffic stop on him so that he could be arrested and taken back into custody. Sassenberg led Deputies on a vehicle pursuit that traveled through Camino and ended in Placerville. Deputies successfully ended the pursuit by deploying two sets of spike strips to disable the vehicle Sassenberg was fleeing in. After being stopped by the spike strips and a team of Deputies, Sassenberg was found to be in possession of ammunition, methamphetamine and a methamphetamine smoking pipe. Sassenberg was booked into the El Dorado County Jail in Placerville on the following felony charges: 2800.2 VC, felony evading of a peace officer with a disregard for safety of persons/property, 30305(A)(1) PC, felon in possession of ammunition and 3455 PC, Post Release Community Supervision revocation. Sassenberg was also booked on the following misdemeanor charges: 11377(a) possession of methamphetamine and 11364(a) possession of narcotics paraphernalia. Sheriff John D’Agostini’s Patrol Deputies continue to practice “total enforcement on crime and criminals” as they proactively look for wanted criminals and those violating the terms of Post Release Community Supervision in El Dorado County.